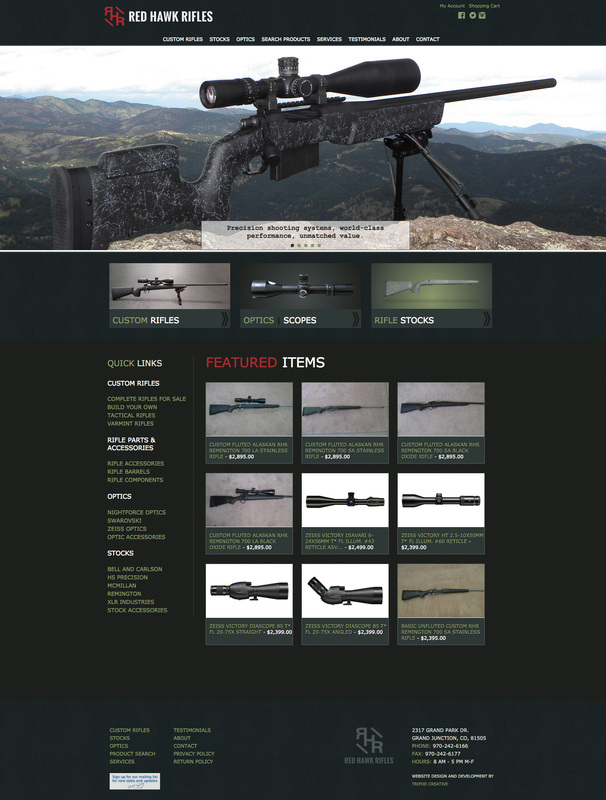 Project: Full service creative development package to launch rifleworks business. Goals: Promote online business and generate revenue via an eCommerce portal. Deliverables: Custom-engineered eCommerce system that generated over $1M in revenue within 2 years of launch, and retains top search engine rankings compared to nationally known competitors.